Do you love coffee but dislike the bitter flavor you get from a hot brew? 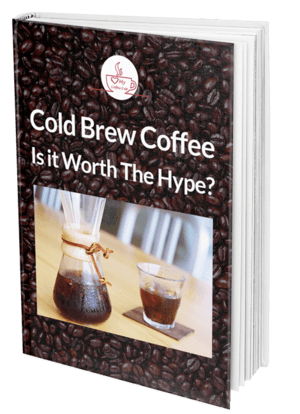 Perhaps, it is time you give the cold-brew process a try that allows you to make delicious cups of coffee without the acidic kick. Steeping the grounds in cold water produces more aromatic flavors, ensuring the coffee stays fresh for longer periods of time. Makes Delicious Coffee: With the OXO Good Grips Cold Brew Coffee Maker, you can brew, smooth, and delicious coffee concentrate. You can choose between hot and cold coffee. 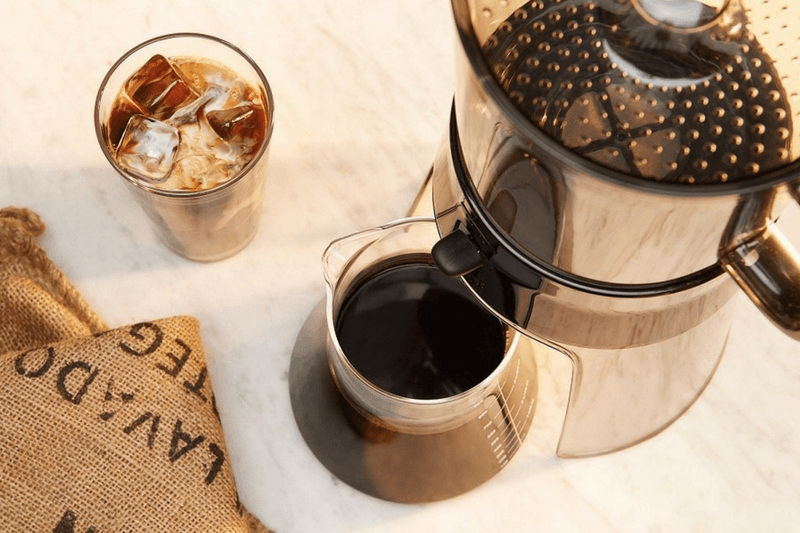 Perforated Rainmaker: The OXO Good Grips Cold Brew Coffee Maker features an ingenious Perforated Rainmaker that ensures water is distributed evenly over the coffee grounds. Removable Stainless Steel Ultra-fine Mesh Filter: The stainless steel mesh filter extracts all the aromatic flavors from the coffee grounds and is also removable, which makes clean-up easy. ​Easy-to-Access Switch: With the easy-to-access switch, coffee enthusiasts can activate the filtration process while keeping their hands clean. 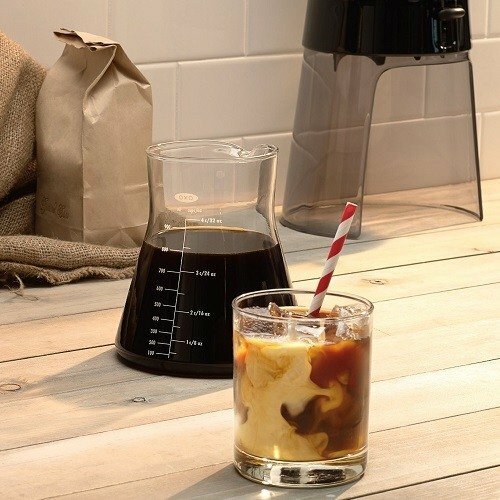 ​Borosilicate Glass Carafe: The OXO Good Grips Cold Brew Coffee Maker includes a stunning glass carafe with measurements. ​Silicone Seal with Stopper: The coffee maker features a silicone seal with a stopper that makes it possible for you to store freshly brewed coffee in the fridge for later. 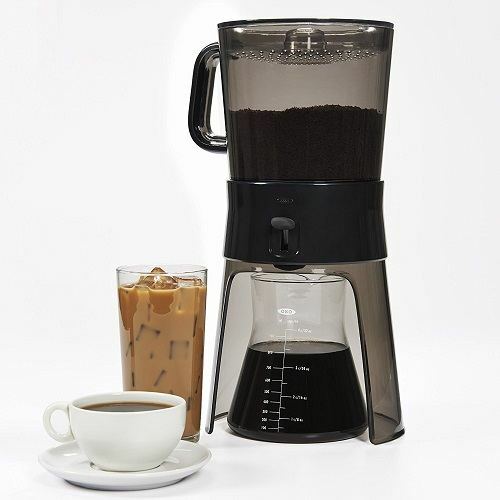 Small Countertop Footprint: For convenient storage, the compact OXO Good Grips Cold Brew Coffee Maker has a small footprint and can also be disassembled. Convenience: The OXO Good Grips Cold Brew Coffee Maker features an ultra-fine mesh filter that is easy to clean and also reusable. You may also invest in paper filters separately, depending on your personal preference. Rainmaker System: The rainmaker system is a unique feature that evenly distributes water over the coffee grinds, which ultimately results in better tasting coffee. Convenient: Most customers on Amazon were happy with their purchase and were excited about how convenient the coffee maker is. Glass Carafe: A customer on Amazon advised others to replace the carafe since theirs shattered. Customers must thus be careful when using the coffee maker. The OXO Good Grips Cold Brew Coffee Maker can be purchased on Amazon for $49.95. Overall, the OXO Good Grips Cold Brew Coffee Maker is not a bad investment. However, customers must use the product with caution and follow the manufacturer’s guidelines to avoid accidents.